Despite diving headfirst into franchise territory with Fantastic Four and Creed, Michael B. Jordan isn’t forgetting his dramatic roots. The Fruitvale Station breakout is teaming with Short Term 12 director Destin Daniel Cretton to adapt Bryan Stevenson memoir Just Mercy: A Story of Justice and Redemption, according to THR. Jordan will play Stevenson, known as the founder of the Equal Justice Initiative, a nonprofit organization that provides legal representation to indigent defendants and prisoners who may have been wrongly convicted of crimes or denied fair trials. This past April, the organization helped to secure the release of Anthony Ray Hinton, a black man who was on death row for almost 30 years for the murders of two restaurant managers, despite failings during his trial including a low-rate civil engineer serving as the “ballistics expert” and bullets from the crime scene not matching with Hinton’s gun (the only evidence in the original trial). Just Mercy looks further back, to Stevenson’s first case, in which he fought for the release of Walter McMillian, a young black man railroaded by the racist Alabama legal system after being accused of the murder of a store clerk during a robbery, despite multiple witnesses confirming he was at a church fish fry at the time. Prosecutors suppressed evidence and found informants to falsely testify against him, leading to a day-and-a-half-long trial after which the judge changed the jury’s life sentence to death. Stevenson took on the case and found evidence of mishandling, leading to McMillian’s exoneration after six years on death row. Broad Green Pictures has acquired Stevenson’s book, which The Blind Side producer Gil Netter will produce. Cretton is writing the script alongside the Glass Castle scribe Andrew Lanham. 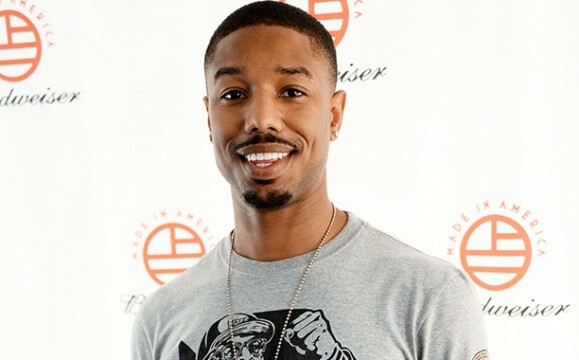 After Jordan broke out playing shooting victim Oscar Grant, another black man profiled and then victimized by racist enforcers of U.S. law, in Fruitvale Station, it will be thrilling to watch the actor tackle Just Mercy and take on the role of Stevenson, who made his name giving a voice to minority individuals oppressed by systemic racism.